Sarah Brett England is originally from Burke, VA, a suburb of Washington, D.C. She received her B.A. in Conducting and Theory from The College of William and Mary. Sarah has music directed/accompanied hundreds of shows throughout the country, with credits at The Public Shakespeare Initiative, Barrington Stage Company, Pan Asian Repertory, Surflight Theatre, Half Moon Theatre, Creede Repertory Theatre, Texas Family Musicals, New Harmony Theatre, Circa ’21 Dinner Theatre, Nebraska Theatre Carvan, Jenny Wiley Theatre, Ocean City Theatre Company, Virginia Shakespeare Festival, as well on board P&O Australia’s Pacific Dawn cruise ship. Sarah serves as an audition accompanist in New York for multiple theatres. Sarah wrote the vocal arrangement for “Happy Hanukkah” (music and lyrics by Carol Boyd Leon), which debuted at the Encore Chorale’s holiday concert at the Kennedy Center in Washington, D.C. She has also edited the music of Carol Boyd Leon’s song books, Songs from the Heart, Jewish Life Cycle, Gan Shirim, and Voices In Prayer. She has written arrangements for Halloween Hullabaloo, a musical revue by Jennifer Winegardner and Welcome To Shoofly, a musical by Justin Anthony and Jonathan Lee, and Rogue Romance, by Michael Tester. Sarah has served as the copyist for Tectonic Theater Project’s Afro-Cuban Jazz Musical, Carmen, with music adaptation by Arturo O’Farrill, Ringing True, which premiered at Miami Theater Center’s Sandbox Series, and for the Montclair State University concert presentation of Leonard Bernstein’s A White House Cantata. 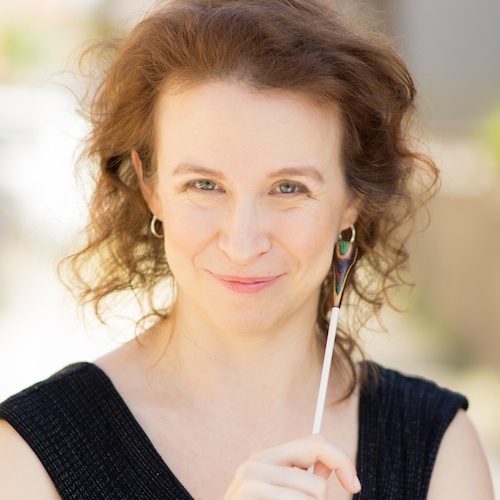 Sarah is an Adjunct Instructor at Montclair State University, a Guest Teaching Artist at Bergen County Academies, and a Music Director at Broadway Training Center.